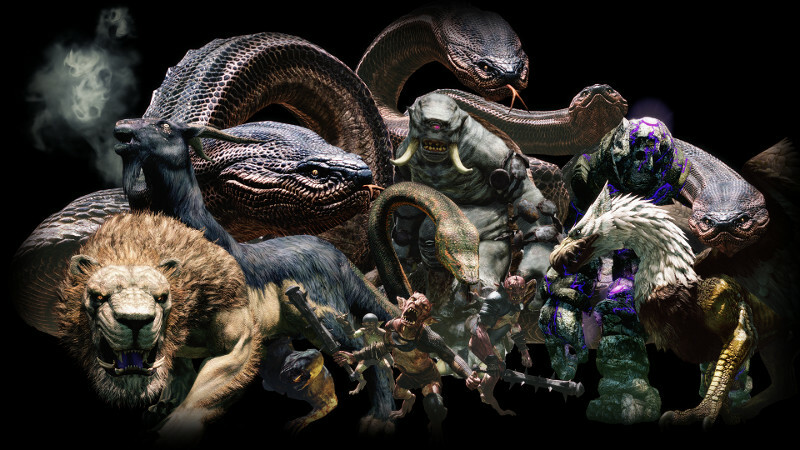 By now we have a pretty complete picture of what the PCs in a GURPS Dragon’s Dogma look like. They can use almost any default Dungeon Fantasy template, or choose to be Magic Archers and Mystic Knights. They can be normal humans, or Pawns and Arisen. They can equip themselves with a variety of gear and they can use a unique form of alchemy to make that gear more powerful. And we know they’ll spend quite a bit of time fighting a variety of enemies and relieving them of their treasure. But exactly who are these enemies? This is what we’ll examine in the next few articles! These entries are written in the order I’ll tackle each of them. The idea is to include GURPS stats for all members of that monster family, either as full stat blocks or as variants for a basic stat block. They will also include some information on where the monster can be found in Gransys and what impact its existence has in our adaptation’s setting. As articles are written for each entry, I’ll come back to this post and add the proper links. It’s important to note that these aren’t the only monsters that exist in the setting, just the ones that show up on the original game. Anything could be lurking in those dungeons! The GM is free to include additional monsters from the DF line or other sources, or to use these in a generic DF setting.